This process will involve drawing various designs for you to ensure we understand your vision. We will then get a small range of diamonds or coloured stones for you to view and choose from. Once you've selected the right stone for you, the manufacturing process begins. 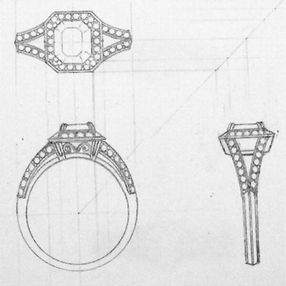 Your finished piece will be assessed by an independent valuer, so when you collect your jewellery it is complete with documents for your insurance company. All of our jewellery is New Zealand made and of the highest quality and all of our diamonds are conflict free.